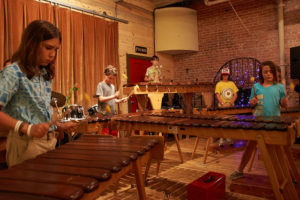 Children are welcome to begin learning marimba in our group classes when they turn 6 or have completed kindergarten. 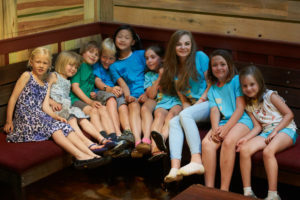 Beginning youth students are grouped by age to insure peer-to-peer contact and age-appropriate skill development. Children start in either Twiza/Giraffe (approx. ages 6-8/grades 1-3) or Nzou/Elephant (approx. ages 9-12/ grades 4-7). In the Giraffe class, we are getting introduced to the marimbas. We are learning the names of the marimbas, their relationship to each other, and the names of the notes on each one. We can even play our main note (C major) chords! We are learning how to hold our mallets correctly and strike the keys properly. In our opening circle, we are exploring the beat and duple beat, and learning to clap rhythms and step to the beat. While we play marimba songs together, we are learning how to fit our parts together in non-syncopated songs, and play basic parts in sync with the group. We even know the lead soprano’s role in the ensemble and can respond to its calls. That’s pretty amazing! In the Elephant class, we are learning how to hold our mallets correctly and strike the keys properly. We are learning how to fit our parts together in non-syncopated songs, and play basic parts in sync with the group. We are starting to be able to execute basic arrangements with the concepts of layering in, layering out, call and response introductions and endings, breaks, and ending signals. We are learning how to play our parts strongly so that we can listen to other parts in the ensemble, and play through mistakes rather than stopping and starting over. We are getting good! Come try this! Everyone loves music when they can find their own innate musicality in the safe, supportive setting of our group classes. Students can stay with us for many years and grow through our programs. In general, you will start in our introductory classes and progress with your class through our skill and song levels. At various points in this process, there will be opportunities for additional growth; as your ability and experience grow, so do the opportunities for learning. Click on the class title to complete our online registration form. This community vocal ensemble is designed to let each member find their own inner voice and share it with the world. 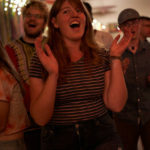 As a community of singers, we bring the joy and passion of folk music from Zimbabwe, southern African, West Africa and around the globe out of our hearts and into the world! Open to all ages and all ability levels. Songs and performances announced each session. To include as many singers as possible, pricing and attendance are more flexible than other Kutandara classes. Have you been wanting to try something new? Looking for something new to stretch you musically? Socially? It’s easy…and we guarantee that you’ll be playing a song together by the end of the first class. What’s to lose? Come try this! It’s fun and healing for all ages. Register now with CMF & CMA. 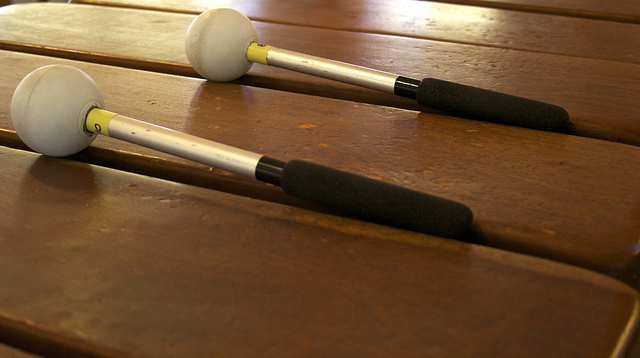 Have you been wanting to try marimba? Deepen your understanding of specific songs? Learn all the parts to a song so you can share it with family and friends? 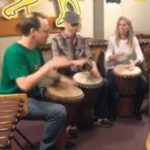 These 4-week song classes are designed for all levels and abilities to learn Zimbabwean marimba song-by-song. 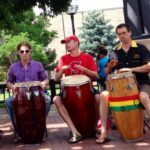 We are offering a 3-year course of study to learn a body of marimba songs we consider our “standard marimba repertoire.” Each 4-week course allows students to study in-depth a song, including unique basic parts and their variations for each of 7 marimbas, as well as a standard arrangement. Take one, or take them all! No pre-requisite necessary. Instructors will teach to the level of each student in the room. 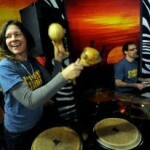 Group playing and jamming will be an integral part of each 4-week course. Over the course of 3 years, this basic marimba song class will feature: Amoxoxo, Babamudiki, Butsu, Chemwainyera, Chipendani, Chiro Chacho, Duduluza, Gandanga, Isu Tauya Pano, Hondo, Kukaiwa, Makudo, Mangwanani, Manhanga, Muti Wambuya, Ncuzu, Nhimutimu, Nyungwe, Out of the Nest, Pfumvu paRuzevha, Skokiaana, Stork, Taurai Zvenyu, Unondo Tamba Iwewe, and Zendekaiwa. Mbira Nyunga Nyunga (‘sparkle, sparkle”) is a 15-16 keyed lamellophone (thumb piano) played by the Shona people of Zimbabwe. 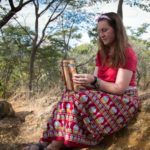 The mbira nyunga nyunga is fun and easy to learn, and can be played alone or with friends. Each week students will learn deepen or their experience of a Zimbabwean song. No pre-requisite necessary. Mbira Nhare (“telephone”) is a 22-28 keyed lamellophone (thumb piano) in the group of instruments known as Mbira dzaVadzimu (Mbira of the Ancestors) played by the Shona people of Zimbabwe. Each week students will learn deepen or their experience of a Shona song. No pre-requisite necessary. 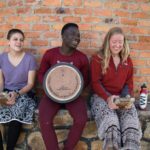 Mbira Club is a place for mbira players of all levels to play mbira and unwind from the week. Come for all or part; bring food & drinks to share or not; bring your instruments or use ours; teach parts you know or just listen. Don’t play mbira yet? Come to the coaching session from 4:00-5:00 pm beforehand, or sing and clap along. All are welcome! In this class, all levels are welcome, including adults and teens. We will begin with a brief discussion and practice of making the 3 basic sounds of the drum: slap, tone, and bass. Then we will jump right into playing traditional rhythms of Zimbabwe, as learned at Chris Berry’s Blue Tribe School, as well as in Zimbabwe. We will learn first and second accompaniments, as well as breaks and bell patterns, and some root lead parts. Cultural context will also be discussed. In this class, all levels are welcome, including adults and teens. We will begin with a brief discussion and practice of making the 3 basic sounds of the drum: slap, tone, and bass. Then we will jump right into playing traditional conga rhythms of Cuba. Most of what is taught will be drawn from the lineage of Los Munequitos de Matanzas. Scott received the permission to teach this repertoire from elder Jesus Alfonso (RIP), while studying with him in Cuba in 2010. We will learn first and second accompaniments, as well as breaks and bell/clave patterns, and some root lead parts. Cultural context will also be discussed.